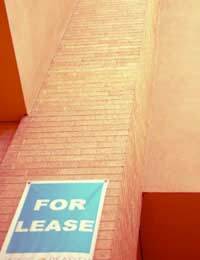 Home > Commercial Rentals > Buy or Rent Commercial Property? There are probably as many opinions regarding buying or renting commercial properties as there are business owners in the UK. Add to this the opinions of financial advisors, business consultants and commercial estate agents and the recipe for confusion is complete. Thankfully the bottom line is that there is no easy answer for every business. Instead, each business must take into account its own strengths, weaknesses and future plans before deciding whether to buy or rent the needed commercial property. A mortgage is usually the highest fixed costs of any business, so if you have good cash flow and relatively low fixed costs then purchasing a property might be right for you. If, on the other hand, you have low cash flow and like to keep your property costs flexible, then renting might be a better option for your business. Business owners must decide whether or not they think the area in which the property is located is a good fit for their business. Amenities in the area, taxes and tax relief in the area, staff and a host of other concerns must be taken into account. What is the property market like in the area? If rents across the area are reasonable and a business’ cash flow is low, renting might be a good option. If, however, cash flow is good and the purchase price is reasonable now but the market is set to skyrocket, purchasing the property might be a better idea. How long do you foresee staying in the area? If you think your business only has a few good years in an area before you will be moving on, renting might be a good fit. If you would like your business to become an institution in the area, however, buying the commercial property might be smart. How much responsibility would you like to take on regarding the property? As with any property, maintenance responsibilities are always greater for property owners than renters who have a maintenance company to fall back on. How much would you foresee your business growing while at the property? Businesses that are set to grow may do better renting a smaller premises at first and switching to a larger property as needed while businesses with static growth could be better investing in a property that will fit their needs for a long time to come. Every business has its own strengths and weaknesses as well as forecasts for the future. Only when business owners take all of these factors into account can they begin to make decisions regarding buying or renting commercial property. The questions above will help business owners think about their businesses and the best property fit for their needs. Discussions with estate agents, business consultants and financial advisors will also help business owners narrow down their options and should be conducted by anyone considering buying or renting commercial property. Good luck!